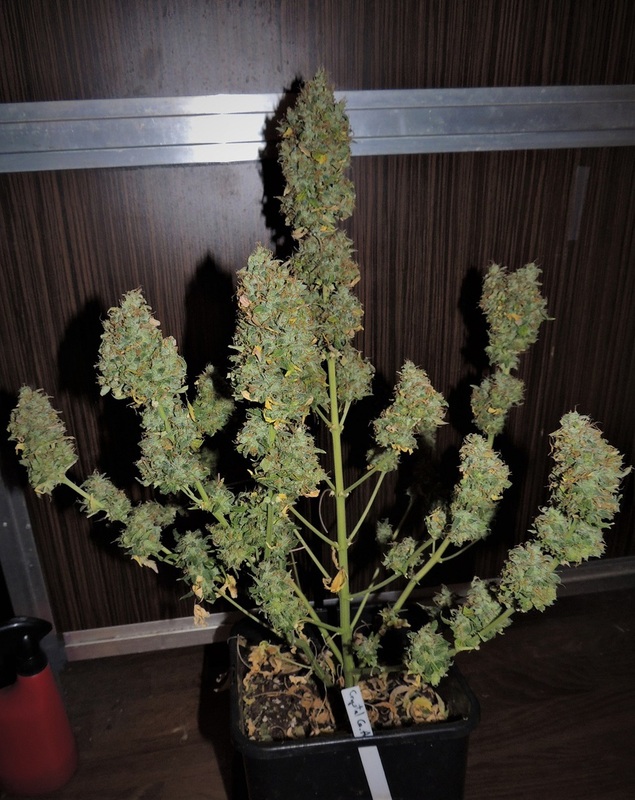 every competition sweet seeds does seems to make me realise how quick time flies by ..truly awesome growth speed on the autos as i haven`t looked in for a little while ,and that forest of trees ..id need them shoes to reach top buds ..nice work fella . Sorry its taking me a while to get round to catching up. The good thing about it though is i get to come in a see a lot of nice work going on. Wishin' you all the best mucka. Thanks Serps! I also think they will benefit from this defoliation. Very nice dude, I'm sure the other autos will make up for the Cream mandarins. Your photo plants look great and I agree you're going to have a serious main cola on the Cream 47. Nice job with the trim and the early staking, they're going to need the support. Not as much work put into each girl as you. but i have a few more and would probably be a full time job if i had to tie all the branches down. December was rather hectic with work and just happy they are doing that well, eventhough they had to suffer some neglect at times. That is so true. Escpecially the automatics make times fly. But all the exciting stuff is still to come. Just a few days left until i decide to chop. I might leave the Cream Manderine and the Sweet Nurse CBD in the back right, for a few more days in they still require a week and a bit to finish off. Having been feeding much the past waterings and just plane tap water yesterday. As you can tell from the leaves becoming pale. Sweet Nurse CBD is super frosty and got a serious cola going for her. Super dense as well and wonderful sweet aroma. I really wonder what she has to offer in the smoke department. Cream Manderine Auto still requires a little more time. She has a strong orange/tangerine fragrance when you rub your fingers against her. Crystal Candy Auto just a few days before chop. She still pushes a few white pistils out, but most have turned brown and hoping to chop her pretty soon. 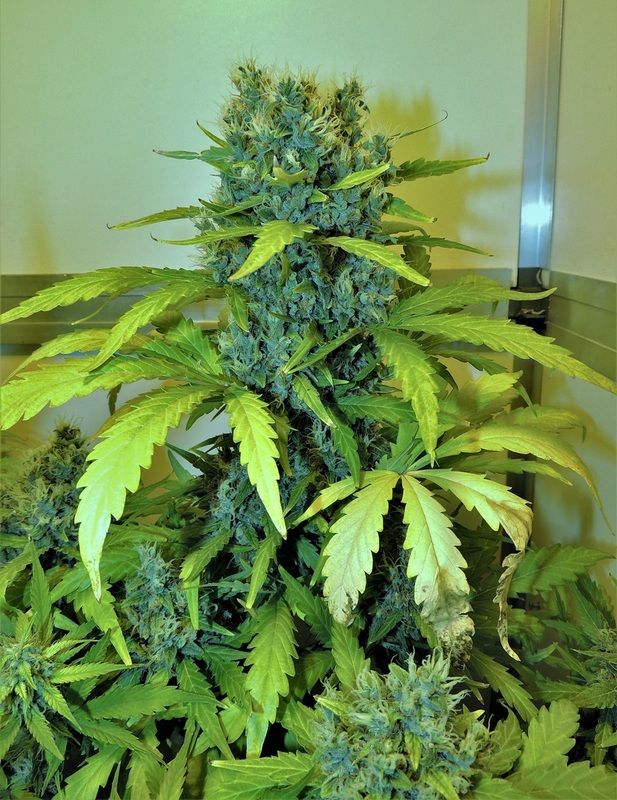 Crystal Candy Auto this one is the tallest of the bunch and also developed good lateral branching. But feeding requirements were a little harder with her as for the others. Too much or not enough feed - she showed me both ends of the spectrum during flowering. The third of Crystal Candy Auto and the shortest of the bunch. But she got a super dense frosty colas and could chop her today if i wanted. keep yer eye out for mould with the crystal candies being so dense and the resin very greasy ,wouldnt want anyone getting it on such nice buds . Tasty Toke, I can smell them from here.. 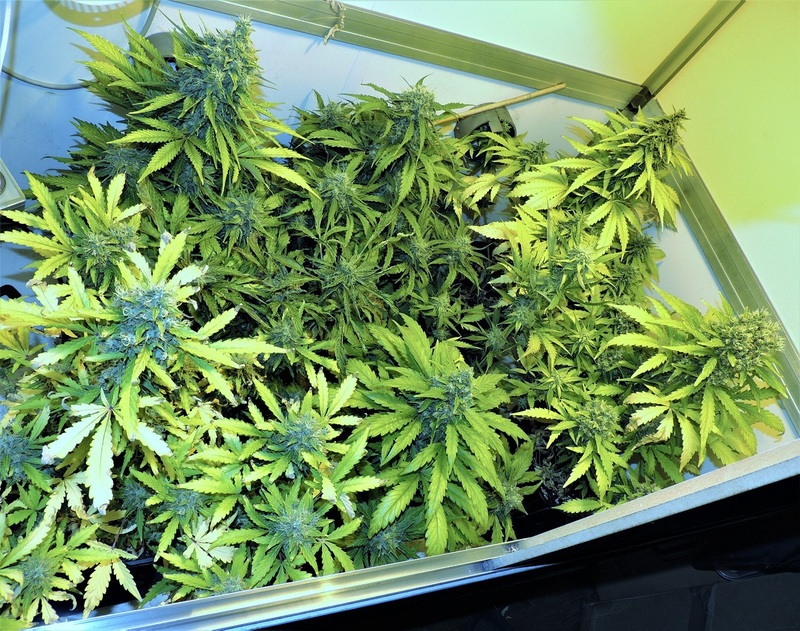 Your using a bonanza grow box right? does this thing have some time speed up dial on it - you only popped these mid november last year so its what only just about 10 weeks? very impressed the quickest autos i have done have been about 12 weeks i think. 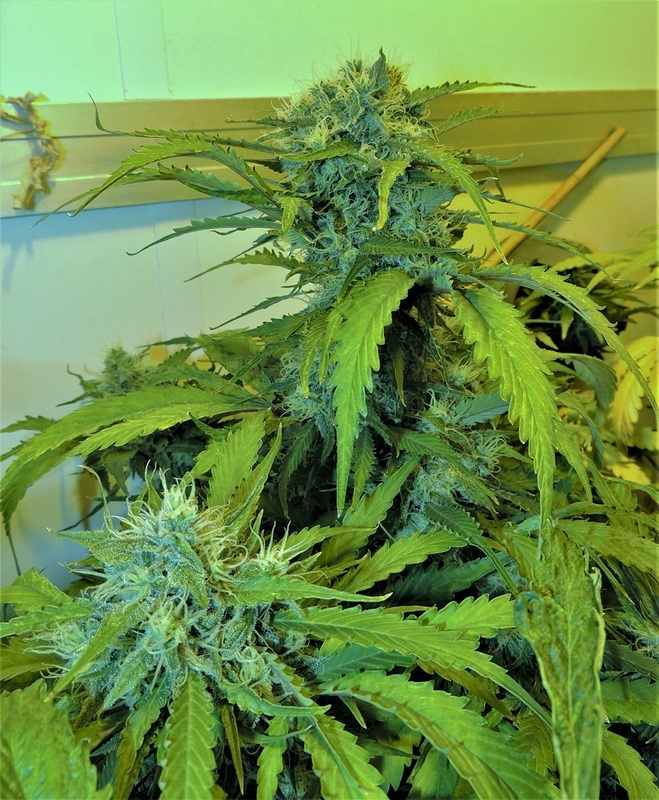 I have a black jack auto on the go and would be more than pleased if its looking anything like the above after 12 weeks if its like that in 10 im going to be very most chuffed indeed. Lovely stuff AT . It must be nice with the autos maturing and more selection to come . They look fantastic . Thanks! Still need to play around with the usb microscope. I can also take images in larger size, which i will do next time. Also got a stand which will be handy for dried bud shots. Alright, Vince. I saw that in your diary. Will keep an eye on them. Just a few more days to go and would be a shame to loose some to rot. RH is now between 35-45% which is good. Looking forward to it myself. Jars are getting low atm. 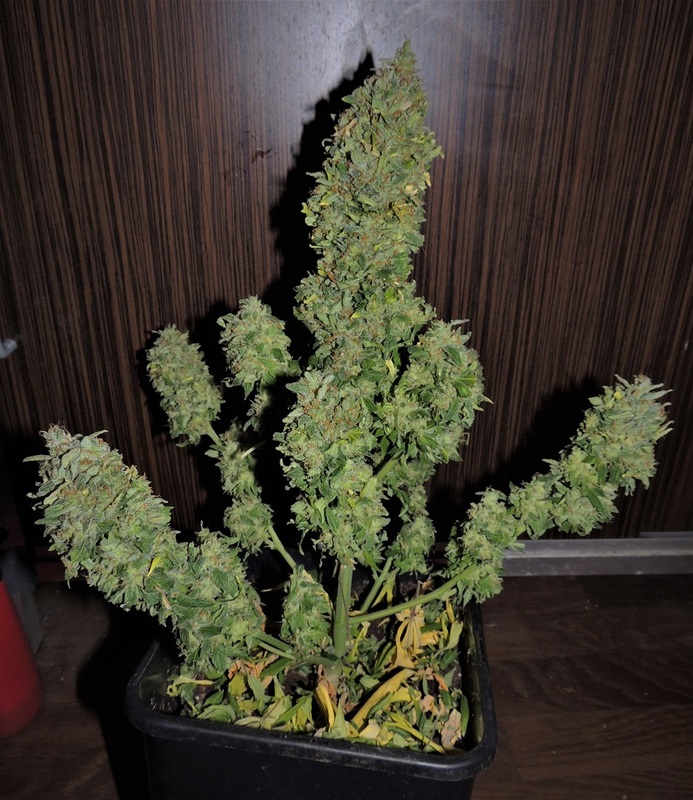 This grow hasn't been perfect, but like you said - result! i reckon i will harvest about 200gs, which isn't spectacular, considering i'm using 400w light. I was aiming for something closer to 300, but buds look tasty indeed. Currently on week 8 or 9. Not quite sure - germination was 22nd of Nov. but don't think i've had autos go 12 weeks before. might as well do photoperiods. The aim is to harvest before all others. Black Jack auto is a great smoke and was the first auto i actually liked and changed my opinion. As you know the lowrider era wasn't pretty. Thanks Michael. I do enjoy autos and are good smoke compared to what they used to be. Nevertheless, looking forward to the photoperiods the most. Crystal Candy are performing fairly well. Not as sweet as the photoperiod version, which i really like. but this might change when smoking. i still have some CC buds from the last crop and looking forward to compare the both. 10 weeks have past since germination and decided to chop the automatics last friday. The automatics were really hungry towards the end with only few green leaves remaining. I might have started the flush a little too soon, but still happy with the results so far. I will divide this update into 3 parts, as i would like to feature each strain by itself. First, Crystal Candy Auto, which i had three of. While giving the chop, they produced a really nice scent, not quite like the photoperiod version, but still very attractive. 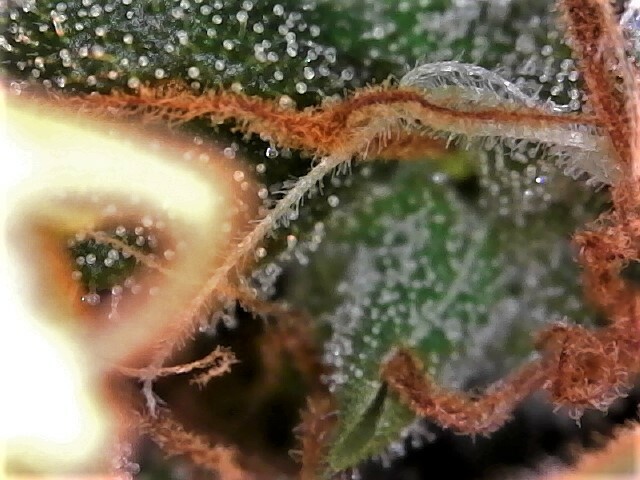 Here you can see all the trichs on the main cola of 2. 3. was the beefiest of the three and also develepod good resin production. She still had a few white pistils, but not too worried as most of the trichs had turned milky with a few golden ones. Some real nice looking buds in there and seem to have yielded will. Congrats on the harvest. Cream Manderine Auto had the nicest scent while trimming. A mix of sweet oranges, lemon and grapefruit. Here is one of the CM auto i put into smaller a pot (2,5L), as she had troubles at the beginning and was lagging behind the others. I wasn't sure what will happen, but she still managed to produce a few decent buds. This was the only "normal" Cream Manderine Auto i had from the three. Glad to have her as she will most certainly yield the best of the three. The buds are not ultra dense, but loaded with trichs and what a smell! Just pure joy to smell. 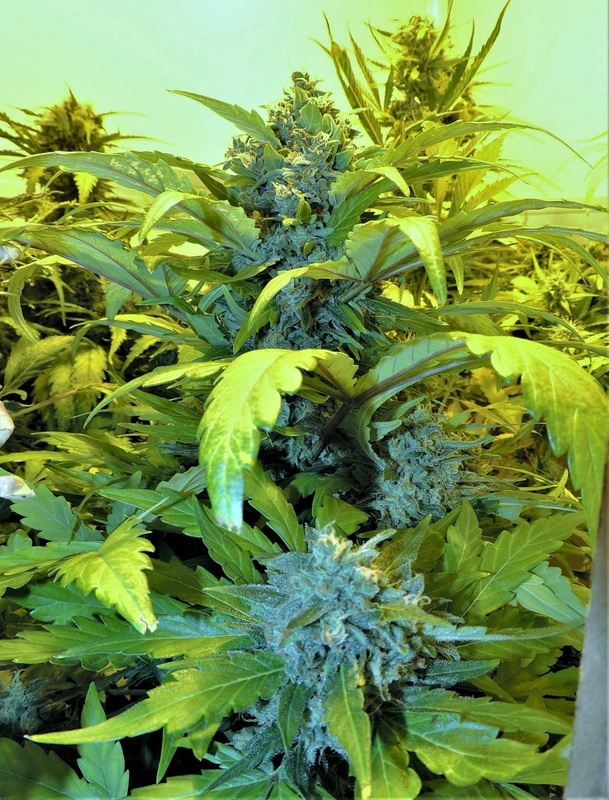 Here a closer look at one of the side buds from the freak. She ended up turning a little purple as the air got colder. 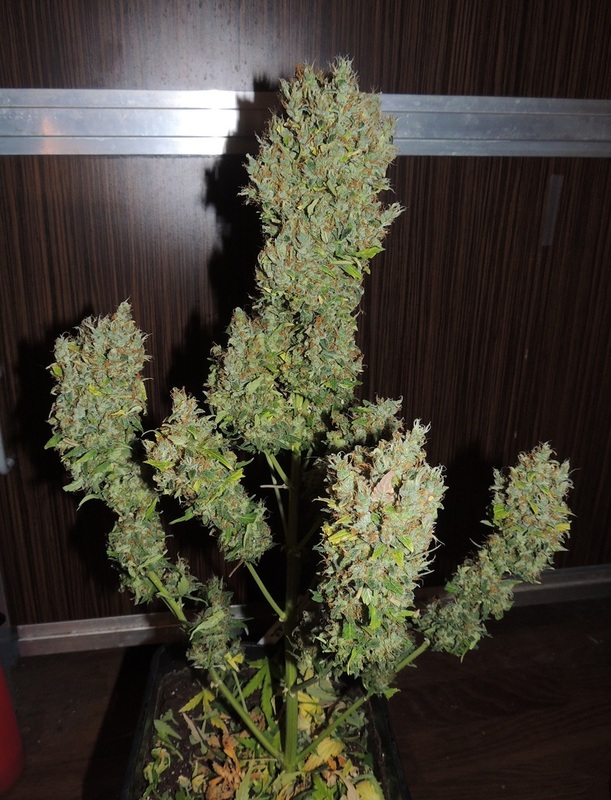 She won't yield much, perhaps 5-7gs, but she produced hard little nuggets covered in trichs.